that’s easy to pick up, hard to master (and even harder to put down!). 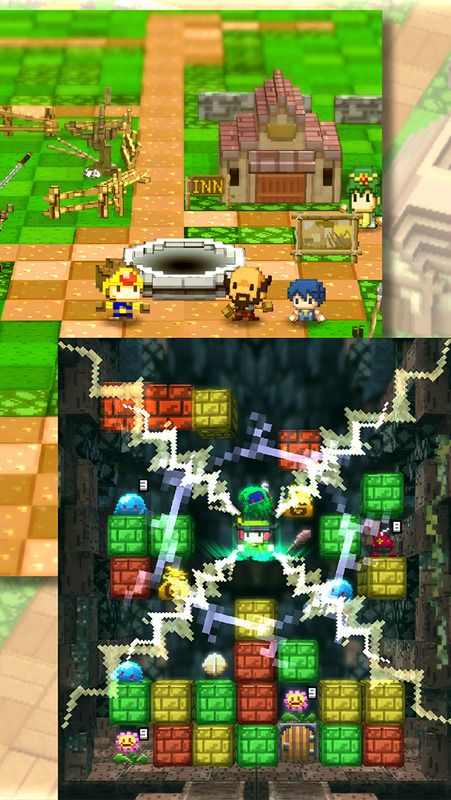 Trace and chain blocks together to attack monsters! 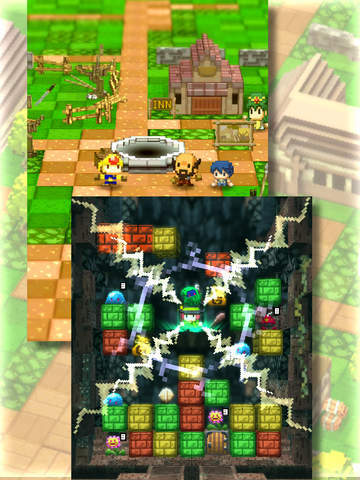 Summon all your wits and courage to challenge the Dungeon Master’s dungeons! 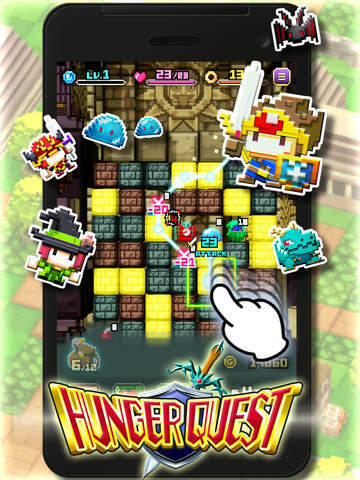 All you have to do to play Hunger Quest is trace blocks to chain them together. 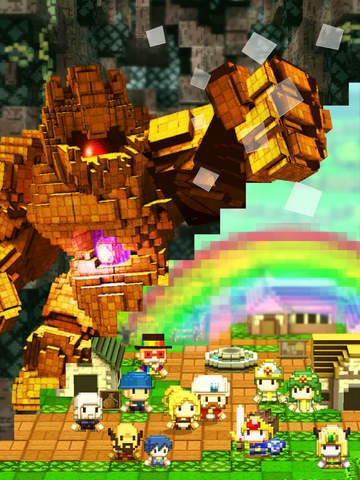 Chain blocks of the same color together with monsters to attack them! Set your sites on the furthest depths of the dungeons! 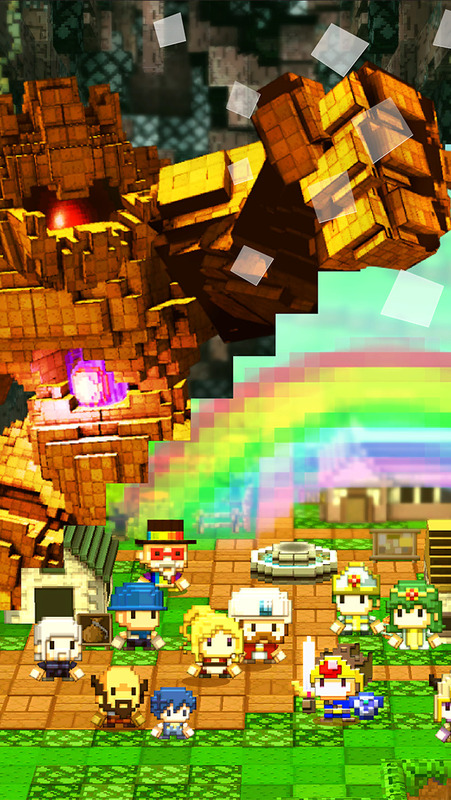 Embark on your quest and progress through the story as you talk with characters you meet in town! 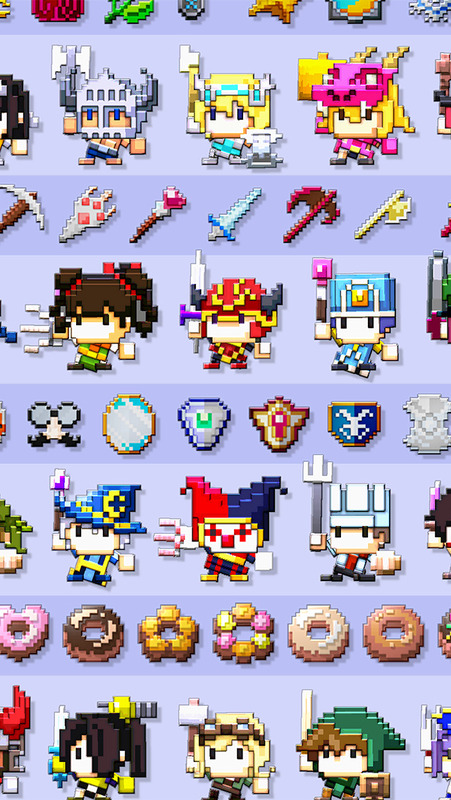 Progressing through your quest unlocks more varieties of items and equipment synthesizing. Watch out! There are monsters lurking in every nook and cranny of the dungeons! Do your best to acquire items and equipment to help you survive. What lies in wait for you in the deepest depths of the dungeons? Perhaps a boss of epic proportions!? ■Give Job Changing a Try! 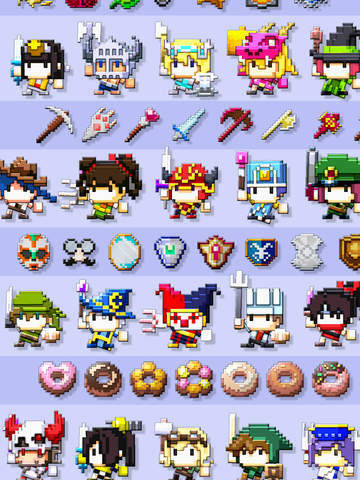 The hero of the game can change jobs that possess a variety of different abilities. Unlock a host of jobs by collecting "Books of Mastery" to ensure your quest ends with a "V"! Fees: No registry required to play! Basic gameplay is free of charge.